1980s Sir Walter Raleigh in a medium bend 2002 MM Legend cob. Gonna go to bed early tonight for sure. Just finished a bowl of E N D in my favorite Peterson slightly bent apple.......was awesome.....not a huge VaPer guy (it's a change of pace smoke for me) but really enjoyed this spicy blend....nice tabac taste with just enough peppery perique for complexity.....I've been enjoying VaPers more and more lately...usually enjoy a nice balkan or british blen at night but have to say I'm glad I opened this tin and took the time to carefullly rub out the coins and pack it up! 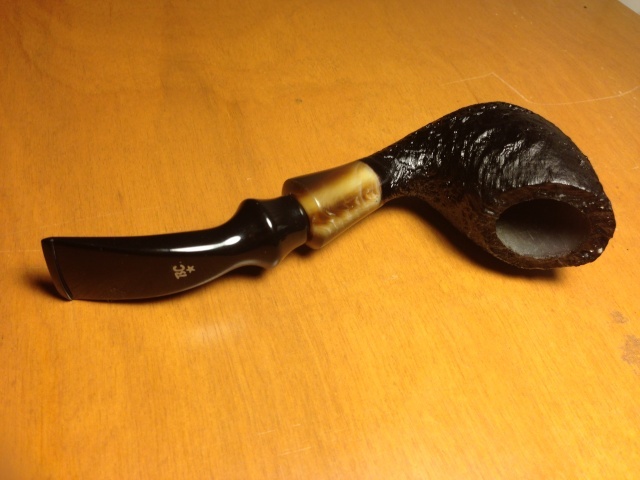 Peretti's London Flake in a 2002 medium bend smooth straight grain Karl Erik freehand with a pointy bottom. They loaded me up with a bunch of tobacco. I told them I'd be back tomorrow for another visit. 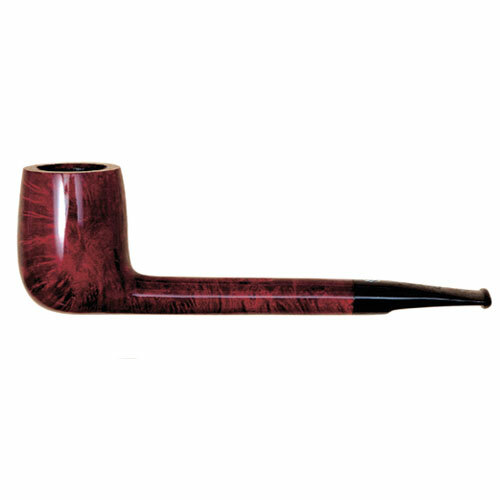 Barbados Plantation in the second pipe I ever bought, a 1974 three quarter bend black sandblast etched Dr. Grabow Omega. Fox and Hound in a 1975 full bend black Dunhill Shell 52021. This one is growing on me. I'm liking the flavor of it. Looks like you enjoy full bodied smokes for b'fast Quang! Me, I'm having OGS in my Sav 316 Oscar Lucite. Keeping it light to start the day. Just finished smoking South Seas in a 1975 medium bend sandblasted looking, smooth on the sides yellow Pioneer meer.